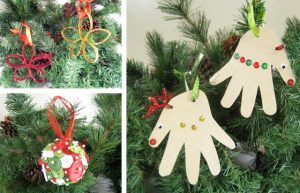 On the Sunday after Christmas, youngsters of the parish are invited to come and decorate ornaments that are used to adorn the Christmas tree that is in the church. All supplies are provided and refreshments are served. Parents are invited to participate in helping their child create their own work of art.